The new VFX-W is taking the world by storm! has an extra-large visor. The VFW-W is a radical new off-road helmet in every respect. that make an impressively radical statement! 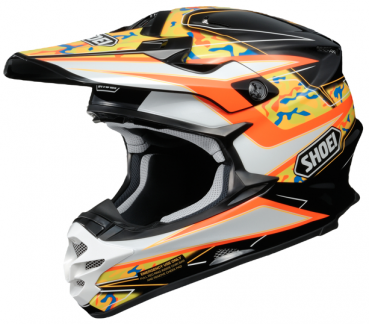 The new VFX-W is SHOEI at its best.